CBS has picked up prime-time's most-watched comedy, Two and a Half Men, for three more seasons while also adding another two years to the life span of The Big Bang Theory. Both comedies are from Warner Bros. Television and executive producer Chuck Lorre, whose previous credits include Grace Under Fire and Dharma & Greg. 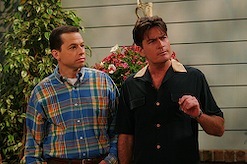 Two and a Half Men, which premiered in September 2003, has been renewed through the 2011-2012 TV season. By that time, its nine seasons would equal the longevity of CBS' previous bellwether sitcom, Everybody Loves Raymond. 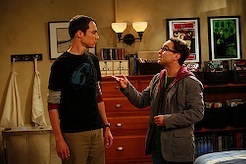 Big Bang, in its second season, is now good to go through the 2010-2011 season. CBS currently is the only broadcast network having any ratings success with old-school, laugh-track-spiked, multi-camera sitcoms.